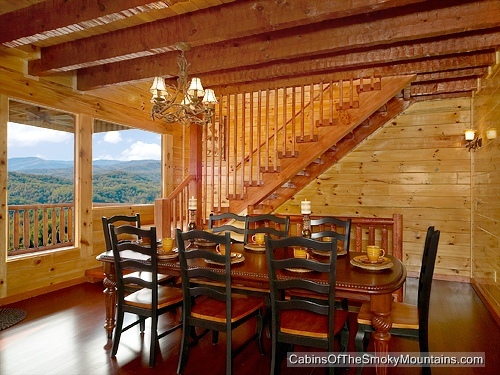 Window to Heaven is a 5-bedroom Pigeon Forge luxury rental cabin adjacent to Dollywood in Starr Crest Resort. It offers magnificent views of the Smoky Mountains and Mt. 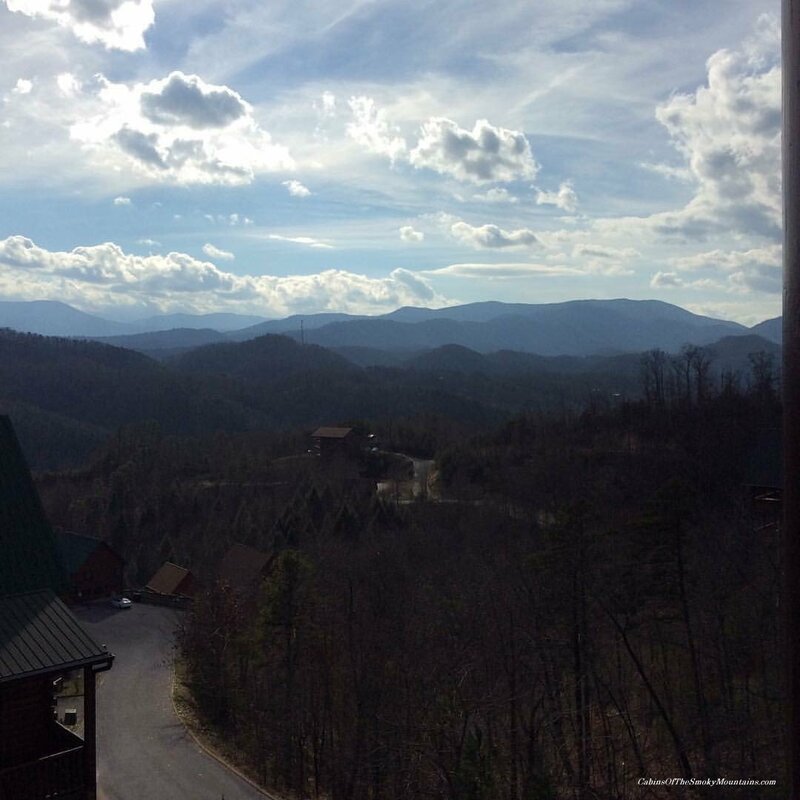 LeConte, and excellent accommodation and entertainment for families of all ages, or groups of friends and couples. The three floors of the cabin each have a separate bedroom and full bathroom. 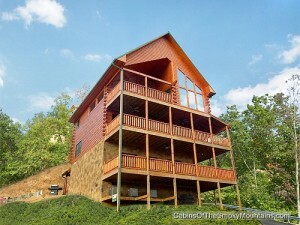 The top floor has 2 additional bedrooms with queen bunk beds in each, and another bathroom. The top floor is where you’ll gaze out at the views all around through the huge vaulted window and say, “Oh, this must be the Window!” This is also where the top deck shown with the rocking chairs provides a total getaway high in the air gazing at the Smokies. There are comfortable gathering places on each spacious floor, with the main level providing the large living area, dining area and kitchen. The lower level holds the pool table and just outside, on the lower deck sits the hot tub, ready all year in the heat or the cold to give you a reason to forget all your other plans. The main and lower levels each have a large flat-screen TV and a gas fireplace, as well as overstuffed furniture to let you know you’re home, and not going anywhere. There’s ample parking, so several people can share the cabin with their own vehicles. 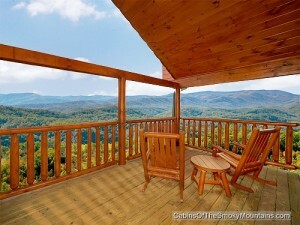 The secret of the rental cabins in the Smoky Mountains is the volume of people they can accommodate. Typically the cabins are spacious. And there’s an entire world of at-home living in a cabin that’s simply not available in any hotel. 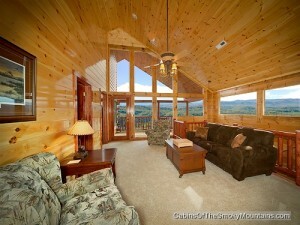 You often get to share acres with other cabins, but no shared walls with other guests! With a 3-story cabin like Window to Heaven, three couples can easily share the cabin, with or without kids, spending time together and apart as the mood takes them. And the cost when split three ways suddenly becomes the best travel bargain around. Actually the cabin will sleep 18 people well. TIP. This lowered cost can become outrageously affordable during our last minute specials, often as low as Half Price. Keep an eye on our Specials page. 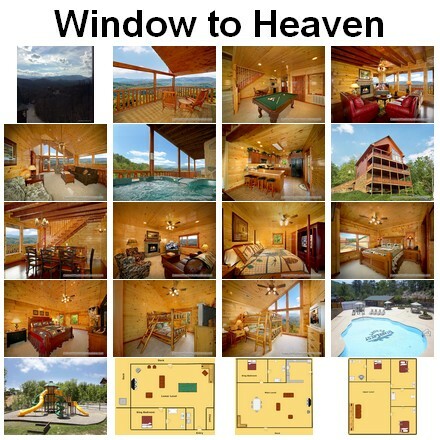 But Window to Heaven is enormous fun for kids too, so don’t leave them at home during your getaway! 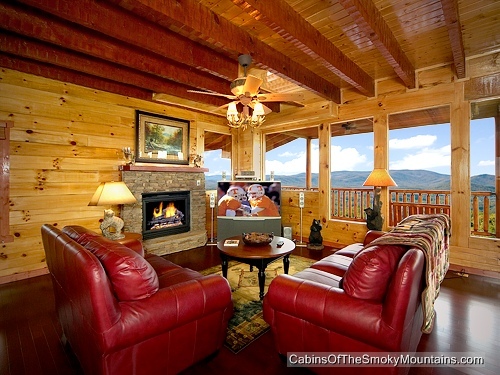 Dollywood is just down the road, and the entertainments in the cabin are enough to keep them occupied for a good time, with 5 more TVs and WiFi. Click here to check availability and book Window to Heaven for your next trip! 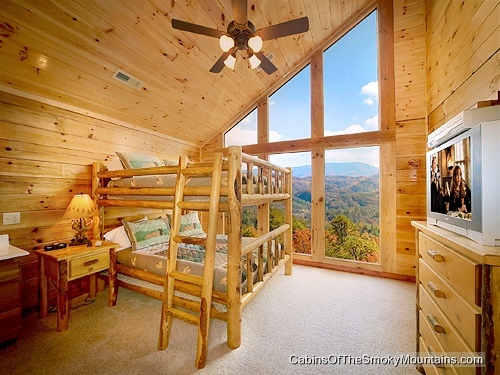 Window to Heaven cabin. CLICK HERE to book and for images, amenities and availability.